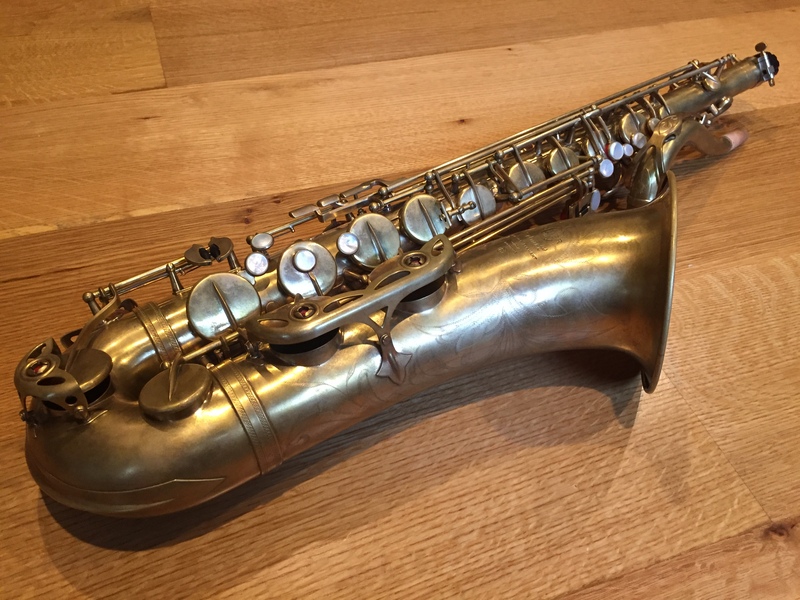 Long and detailed discussion of a kind of common strawman overly hyped discussion of the “The MK VI” saxophone based on years of experience. ( https://www.youtube.com/watch?v=puApTzibuHM ) . 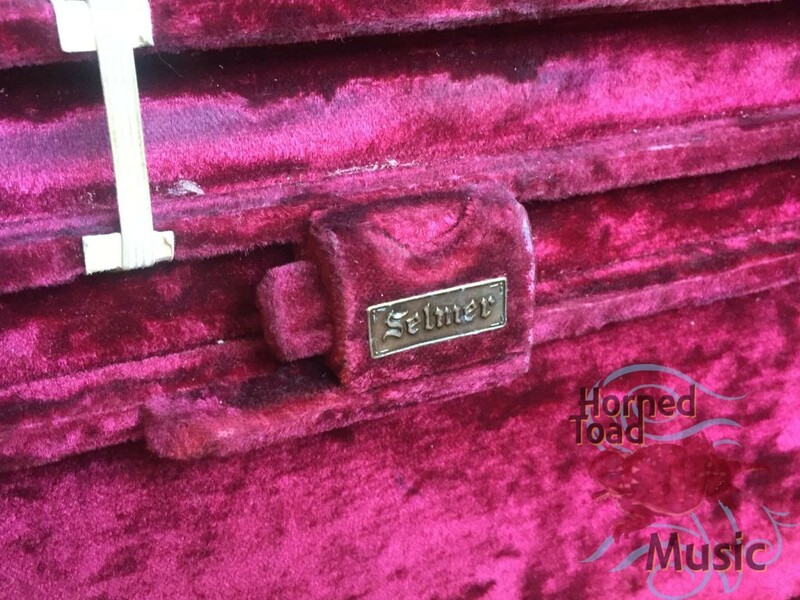 Many hunters of such vintage Selmers, students and just those wanting to learn more may find this helpful. 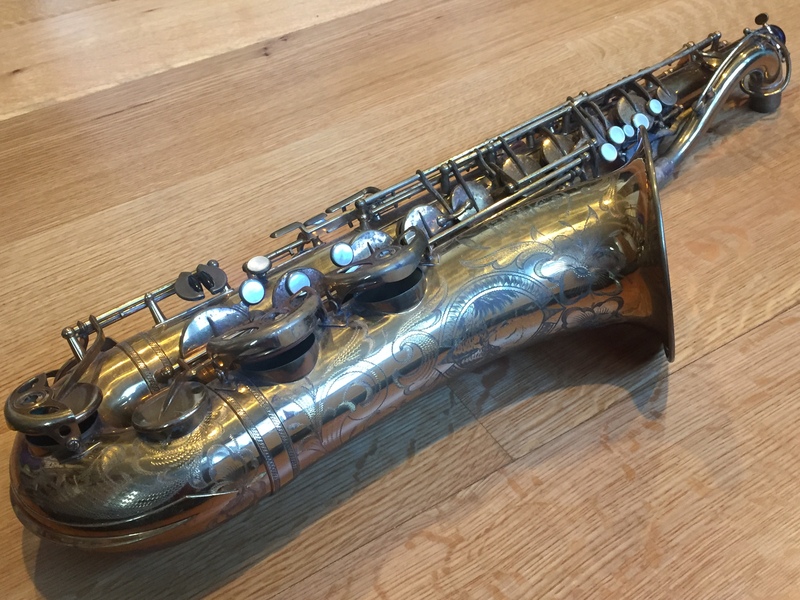 Yusef Lateef’s amazing 45xxx Super (Balanced) Action tenor, restored! I was very luck to be able to purchase this amazing instrument from the estate of Yusef Lateef, along with the paperwork of provenence. 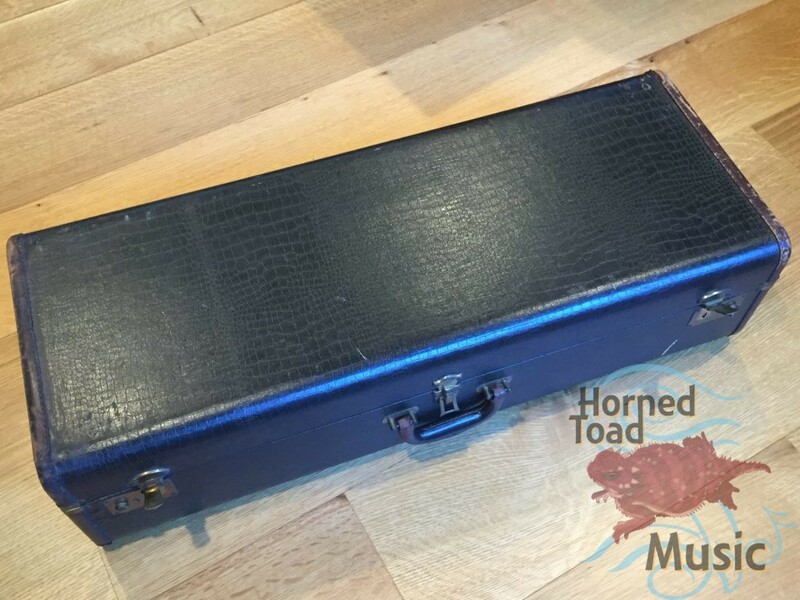 I have some friends in the repair biz who were also around Rayburn’s music (in Boston) years back and remembered Lateef bringing this horn around for service more than 30 years ago as well, so we know he kept it for a long time. This project spanned about two years as some parts of it were slow and time consuming and I was also busy with a move and some family obligations during that time. It was in a bit of disrepair when I got it, with some kind of odd insults and injuries, but structurally it was in very fine shape. 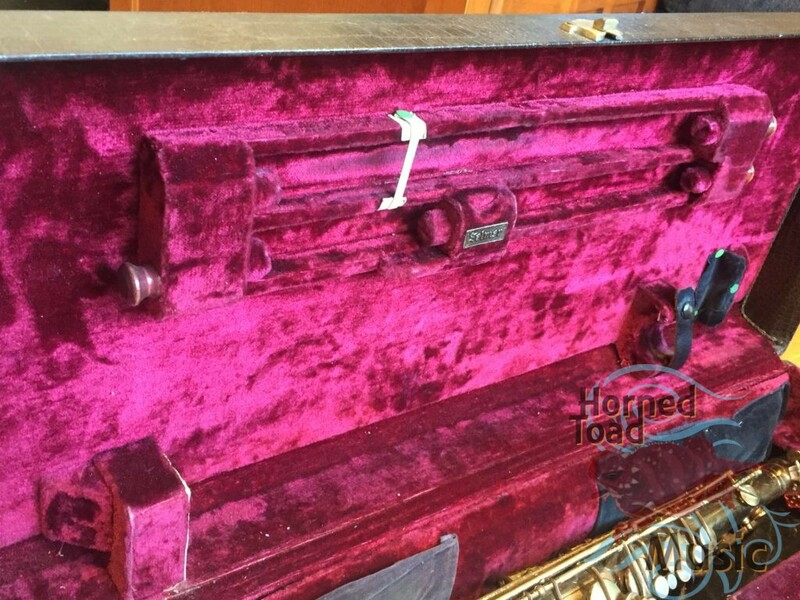 Somehow, somewhere, the neck receiver had been sheared into three pieces two of which were broken clean off the horn. The strangest part is that this break, did not effect the body tube in any way, in any area. It was very straight with only some minor dings, very odd. I have yet to understand how that happened and never will I guess. The pads were old and crusty of course, it was not playing. 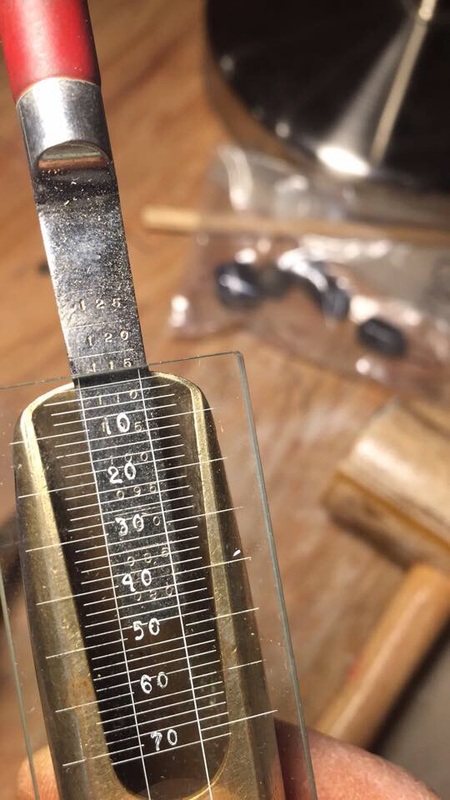 Some screws were missing or mismatched and it was at least as far as proper saxophone service is concerned, just rather insulted. 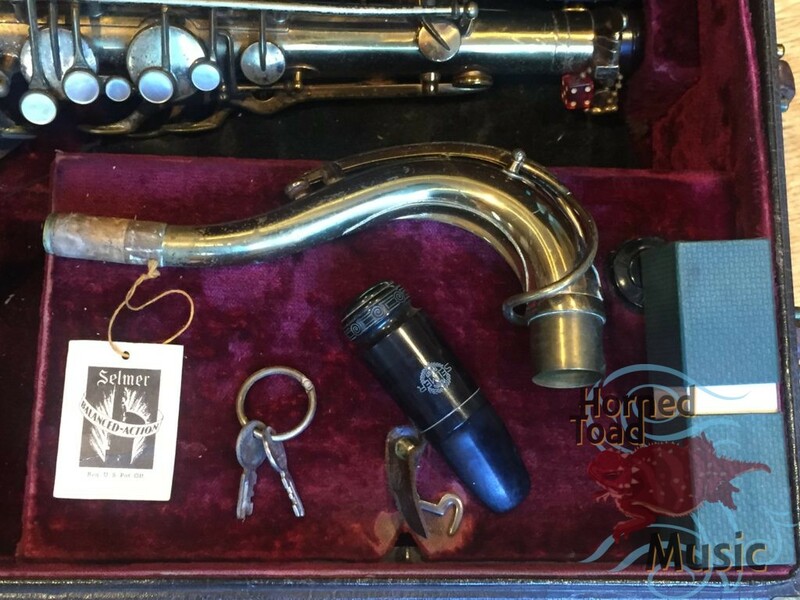 In my imagination, I can see Yusef Lateef buying this horn in Europe while on tour and either it already had the broken neck receiver or that happened while in his possession. I can imagine him thinking “this is one of those special horns that ‘Trane was bugging Wayne Shorter to get” (see the interview with Shorter where he tells this story about Trane’s insistence on him getting just such an early SBA.) and him keeping it until he can find the right person who could handle the weird repair. Maybe he knew what a great horn it was, generally I would trust the judgement of instrument quality to Yuself Lateef above almost anyone. I imagine he had to know what a special horn this was to keep it for so many years. 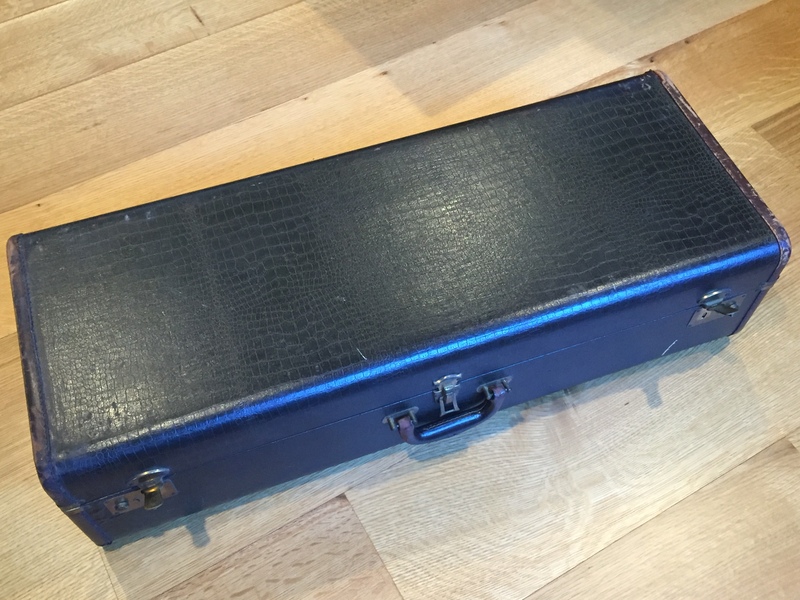 Anyhow with a lot of specific work and time I have finally restored this to very nice working order, it feels like a Ferrari now, set up with rather hard-ish pads and a set of original American-market Tone-X metal SBA resos from the 1950’s that I had here. It just blew my mind as I just played fresh one day after the overhaul, while ti is still settling in. It is very compact and aggressive in tone, barks, is very powerful and has an otherworldly biting bright ring to the sound that makes it sound like it is amplified. This is what the rare and great SBA’s do. I was a little rusty on the video but at least it was fresh and surprised me more than you who will watch it I believe. 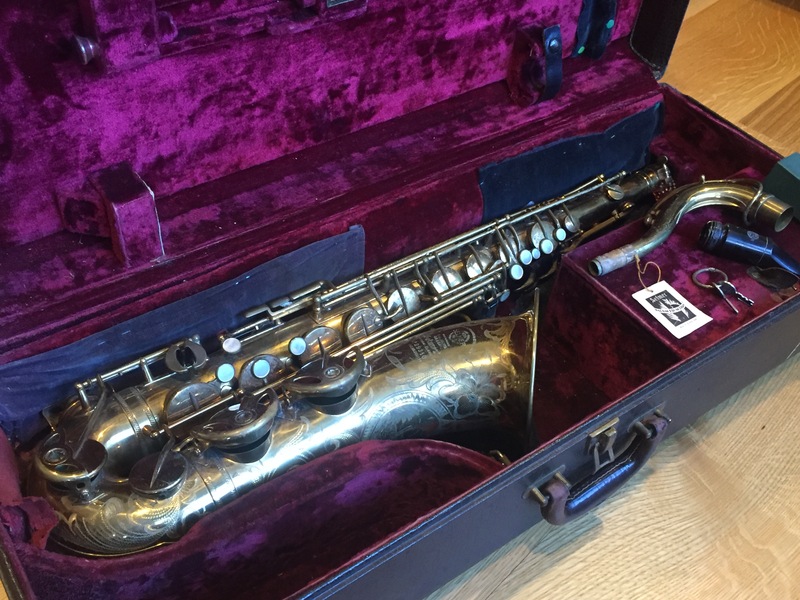 Selmer Mark VI 119k Tenor restored, KILLER! Here is an excellent 119xxx Selmer MK VI tenor. This horn was original lacquer but a bit ugly due to probably damp storage conditions, so I chemically stripped it, hand polished it and did an extensive restoration and overhaul with all the best attention. It is setup crisp and tight with thin and rather firm pads and metal resonators. It plays very fast and precise with a rather huge and loud sound that is both edgy and smoky as needed. 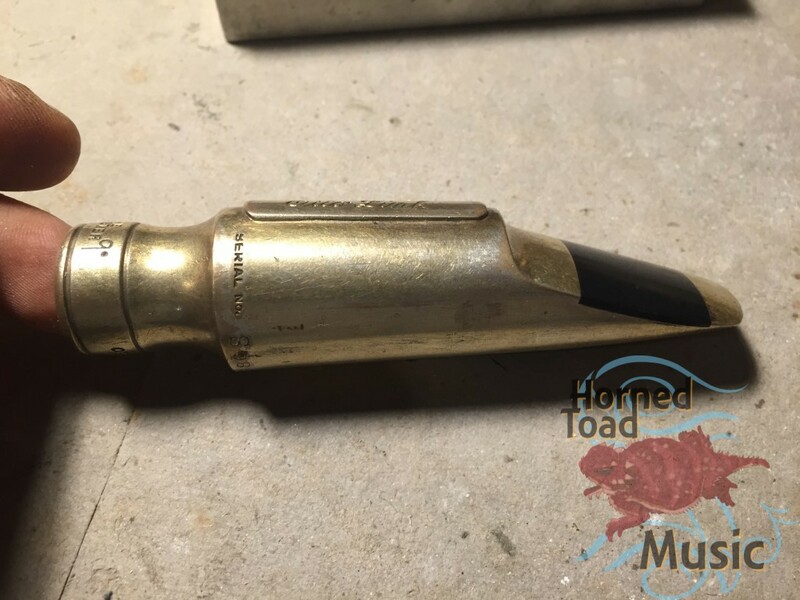 The horn has no damage of any kid, perfect and matching neck and pearls and engraving sharp as a new horn, this was probably only played a few times ever before I got it. 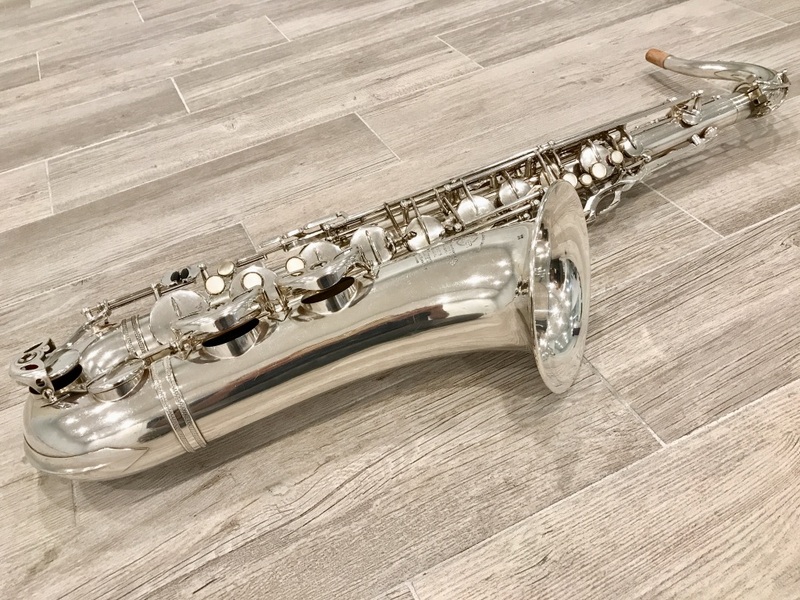 It is like a brand new horn with no lacquer, and it is a wonderful player. This just came in here and required immediate photographing. 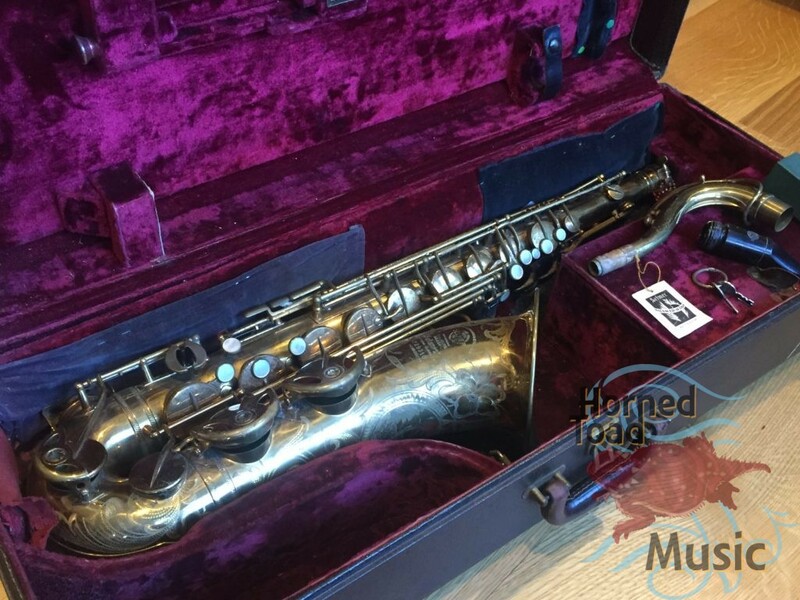 An original intact Selmer Balanced Action is a very very rare creature. 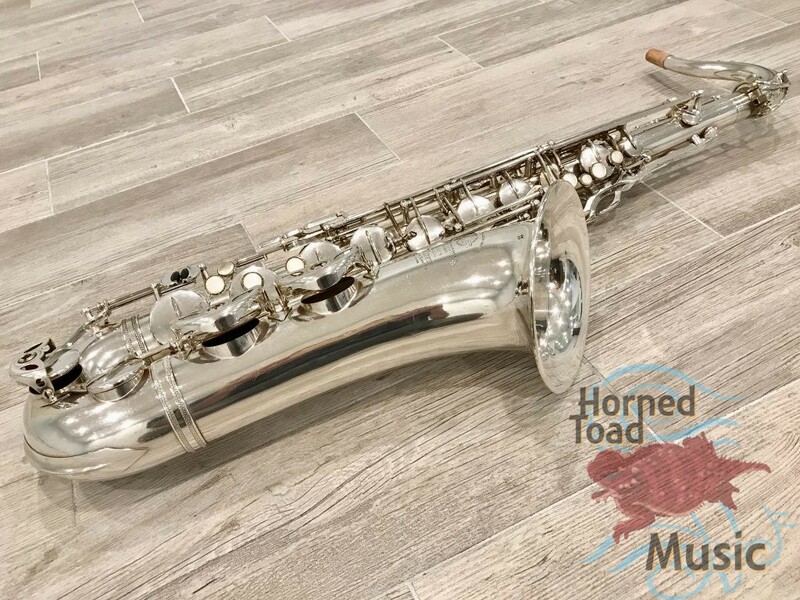 This particular horn has had no significant damage or alteration, has original pads and is basically a used version of exactly as it came from Selmer in the 1940’s. This has as well, the original Selmer case, the first version of the trey-pack design, with original keys and “Balanced Action” tag as well. 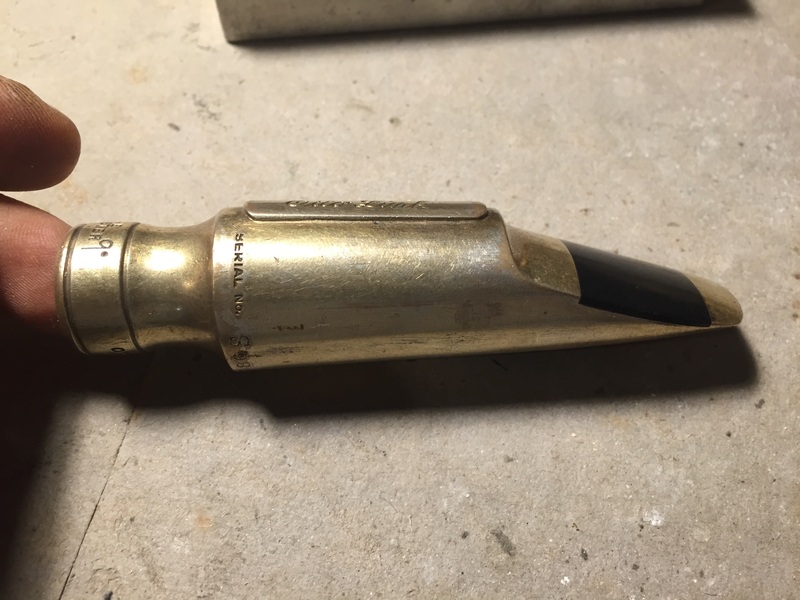 The original “table B” mouthpiece is also in mint condition. 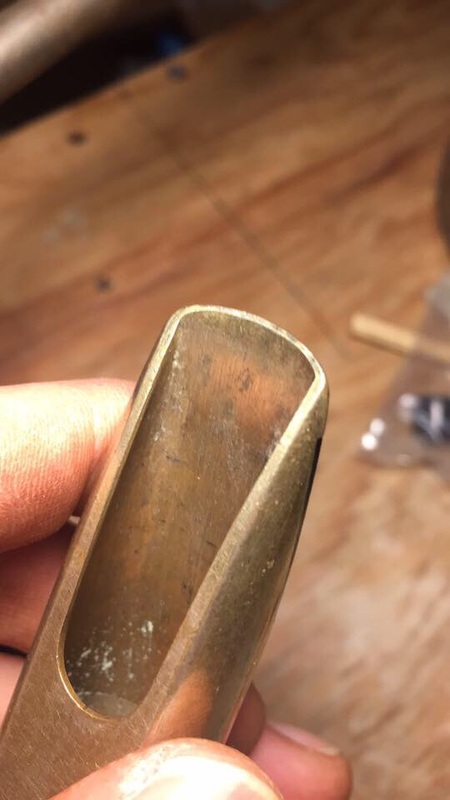 The horn obviously has some wear and some more on the left side, but there are really very few original examples to be found anywhere at this point, especially with American engraving pattern and lacquer. I have not played it yet, requires some key adjustments and it will surely be a moldy experience with this old pads but I am curious. 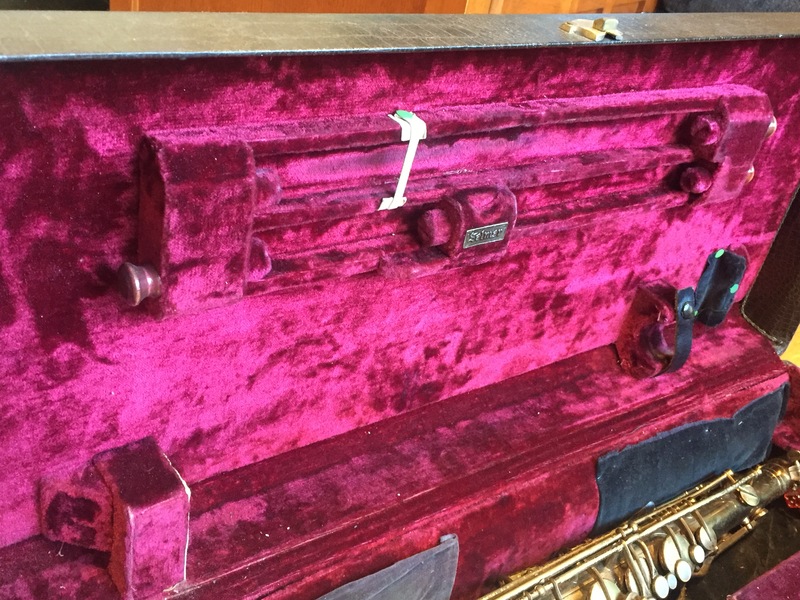 It will need a full restoration but It is sure to be great. I’ve never seen one of these before, ever. I was not aware they existed. 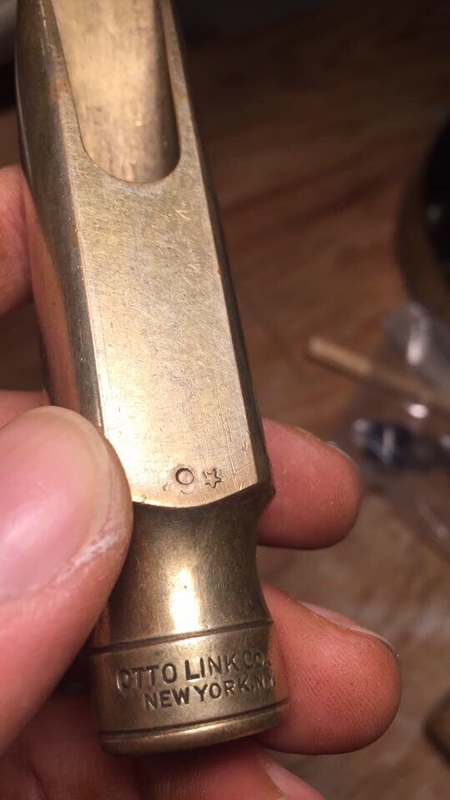 This is an original Tonemaster, late model (bluetrane era) 9* measuring at 0.112 inside the tip rail so likely an actual 0.115. Obviously this was a special order. I’ve been doing a little cleaning up on it and will report back once I know how it plays. WOW!